Looking for a speaker for your next conference? Watch Michelle in action. Michelle Bowden (CSP) is a Master of Presentation and Persuasion. One of only 42 female Certified Speaking Professionals (CSPs) in Australia – the highest designation for speakers in the world. Nominated for the past nine years for the Educator Award for Excellence (NSAA). A consultant to a blue chip list of international clients. The co-creator of the PRSI – a world-first, brand-new psychometric indicator that reports on your persuasiveness at work. Renowned for achieving results through learning and laughter. A passionate educator – she believes learning must be theory-based, entertaining, and highly interactive. Confident she can ensure behavioural change every time. – Don’t Picture me Naked! – STOP! Your PowerPoint is Killing me! What are Michelle’s keynote topics? • Or you just want to hear the word “yes” more often in your life… you’ll love working with Michelle! Speak Up and Influence People is a high energy session that shows you that anyone can have the power to influence and the confidence to speak up in meetings, one-on-ones, even conferences. Simply learn the 3 x Ps of Persuasion and have the right attitude. This is a fun presentation that will have your delegates laughing and learning all at the same time. Delegates are offered the opportunity to complete the Persuasion Reality Strengths Indicator (PRSI) as on line pre-work. This is part of your keynote speaking investment. – An overview of persuasion (definitions, recent research, statistics on regional and demographic trends). – The 3 Ps of Persuasion including relevant examples so that delegates are super clear on how to work with these life-changing techniques on the job. – If you have 2 hours then Michelle can even workshop the use of these examples and help your delegates create personalised persuasive responses that are relevant to their most challenging workplace communication scenarios. 1. Your delegates will be more focused on their stakeholders than on themselves. 2. Your delegates will grasp the concept of being ‘others focused’ at a whole new level. 3. Your delegates will know how to build deep, unconscious rapport with their stakeholders so they feel comfortable connecting and speaking honestly. 4. Your delegates will know how to answer tricky questions and diffuse conflict or misunderstandings that occur during the business day. 5. And in addition your delegates will have the opportunity to gain a better insight into their current approach to persuasion and it’s impact on long term relationships. 1. Michelle offers delegates the opportunity to subscribe to her complimentary on-line e-zine How to Present to ensure they continue their learning in the area of persuasion and communication. 2. Michelle will be available to sign her brand new book How to Present: the ultimate guide to presenting your ideas and influencing people using techniques that actually work (Wiley).You can purchase this in advance as a conference gift or Michelle can offer them after she has completed her presentation. 3. Michelle posts a blog summarising her key points for all delegates to access and read through as a refresher on the valuable content covered. 89% of executives admit to daydreaming during important meetings and conversations. 75% of people say they believe they would gain greater respect for their knowledge and expertise if they were better communicators. And sadly, when asked about the most recent meeting they had attended, only 28% of people did anything with the information presented – 72% went back to their desk and changed nothing….let’s make sure this doesn’t happen in your meetings ever again! • Would you like your team members, colleagues and clients to say ‘yes’ to you more often? • Are you sick of feeling like you’re talking to a brick wall in meetings or one-on-ones? • Are you keen to better present your ideas and showcase your professional expertise so you get what you want and accelerate your career? It’s entirely possible to learn how to create a message that sticks in your stakeholder’s mind so they are compelled to take the action you require. This is a fun presentation that will have your delegates laughing and learning all at the same time. Attend this best practice, high energy, interactive session and try the communication techniques that actually work. 1. How to complete a 20-minute audience analysis so you are clear on what you need to say, and what ‘they’ need to hear. 2. How to apply the model that is international best-practice for designing your message (presentation, email, business case) so that your audience is engaged from the start and compelled to take the action you require. 3. How to apply Disney’s famous Storyboarding model for creating a presentation in only 15 minutes, and so you remember your content without notes! 4. In 3-hours Michelle can also teach your team the first 6 linguistic patterns that belong in a persuasive presentation so they can: hook the attention of their audience from the start; build rapport; motivate their audience, manage objections or conflict around the message, and ensure functional audience behaviour. This workshop can have unlimited numbers. This workshop is best conducted from 12.30-4pm in the afternoon on a Friday. This workshop is best conducted with a short afternoon tea break. Michelle posts a blog summarising her key points for all delegates to access and read as a refresher on the valuable content covered. 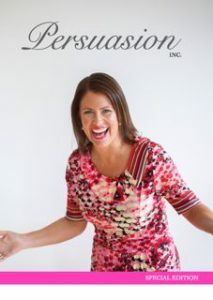 Michelle offers your team: her complimentary on-line e-zine How to Present; weekly social media updates. PLUS, Michelle will be available to sign her brand new book How to Present: the ultimate guide to presenting your ideas and influencing people using techniques that actually work (Wiley).You are welcome to purchase this in advance as a conference gift. Michelle’s daily rate for 10 people in 2016-18 is $5500 + GST.